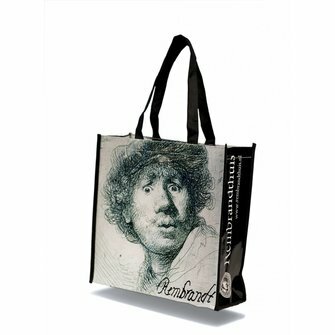 Large shopper Rembrandt in black and white. 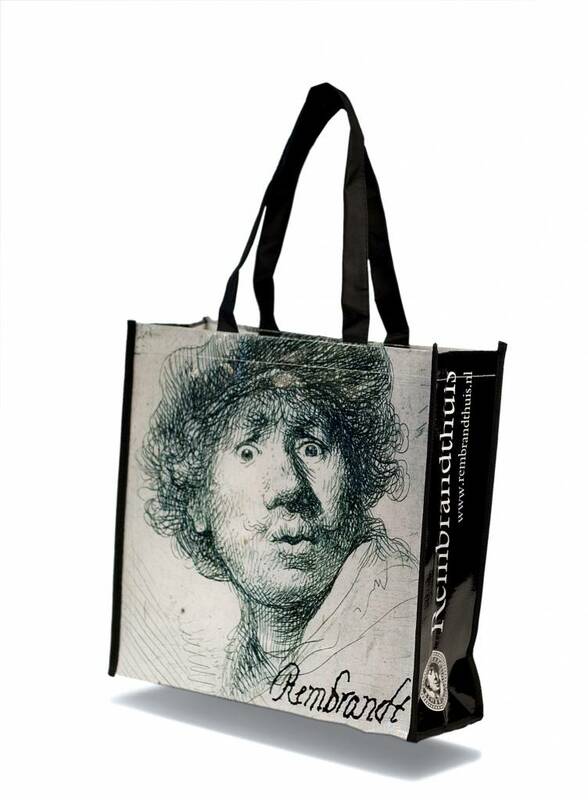 Large, sturdy and very practical shopping bag with Rembrandt's self-portrait Open-mouthed. The size is 39 x 39 cm, the fold on the side is 13 cm.